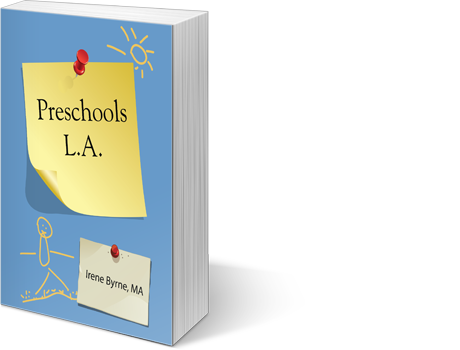 Preschools by the Bay & Preschools Los Angeles is now available as an ebook through Smashwords. If you live in the city and would like to save on the shipping cost you can stop by the Phoebe Hearst Preschool and pick up the book in person. Office hours are Monday to Friday 8:30 a.m. – 4:30 p.m. Please call first to check that someone is there to help you. The office number is 415-931-1018. Cash/check preferred. Irene Byrne is a savvy, knowledgeable expert and her preschool guide is an invaluable resource for parents. As a preschool director with a background in early childhood education, Irene Byrne understands the importance of finding the right preschool for your child. Preschool admissions is time consuming and stressful, particularly in the Bay Area. 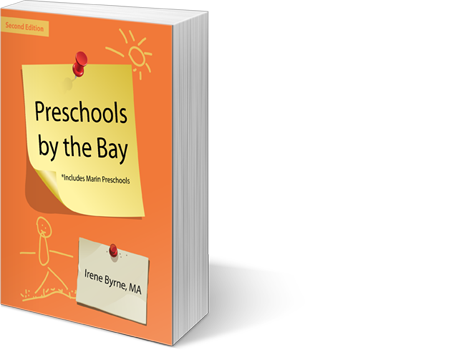 Emphasizing childhood development, “Preschool By The Bay” is written purposefully to help you navigate the process. Thoughtful and well researched, this comprehensive book is the ultimate guide to help you make the best decision for both your child and family! Author Irene Byrne, M.A. is the director of the Phoebe Hearst Preschool in San Francisco. She also consults with parents about the preschool and kindergarten application process. Irene lives in Napa CA. with her husband and two children.